There's another new release over in the JBS Digital Shoppe this Friday! 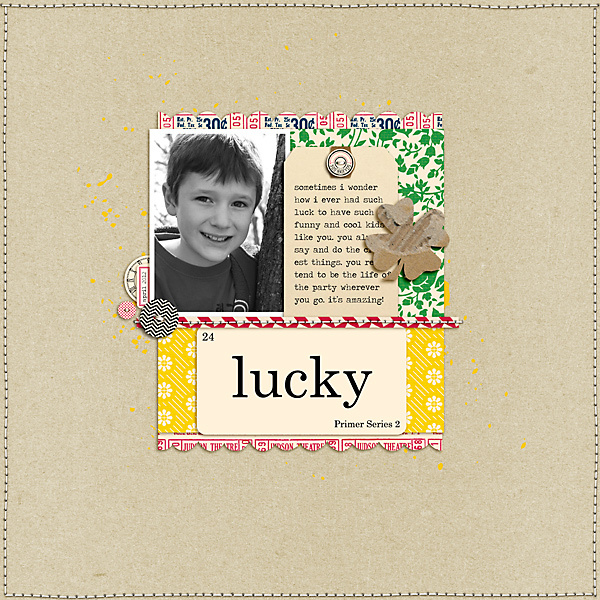 The Souvenir Embellishment Kit comes with flash cards, patterned button die cuts, tabbed labels and a nice bead alpha too! 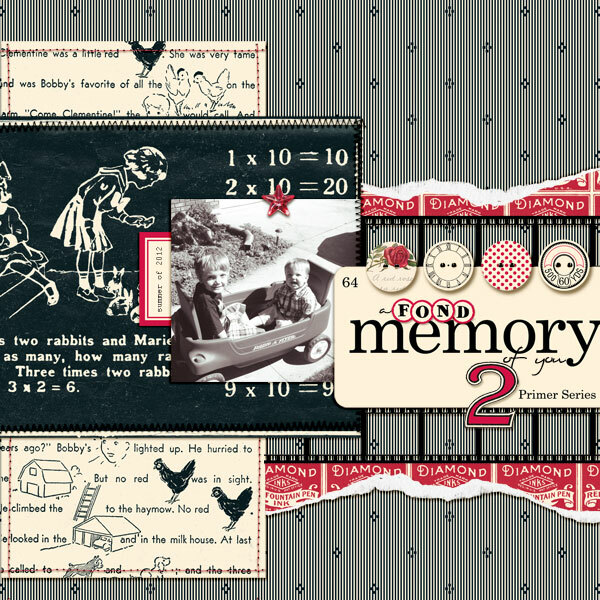 All of which coordinate perfectly with any of the Red and Black Extensions (as well as many other JBS Collections) and are also just right for adding that vintage flair to your scrapbook pages. Let's have a look at a few design team layouts to get you inspired to grab this great set of embellishments and hit the ground running! Celeste Smith has used one of the flashcards for her title and few of the buttons and a tab from this embellishment pack in a simple cluster. 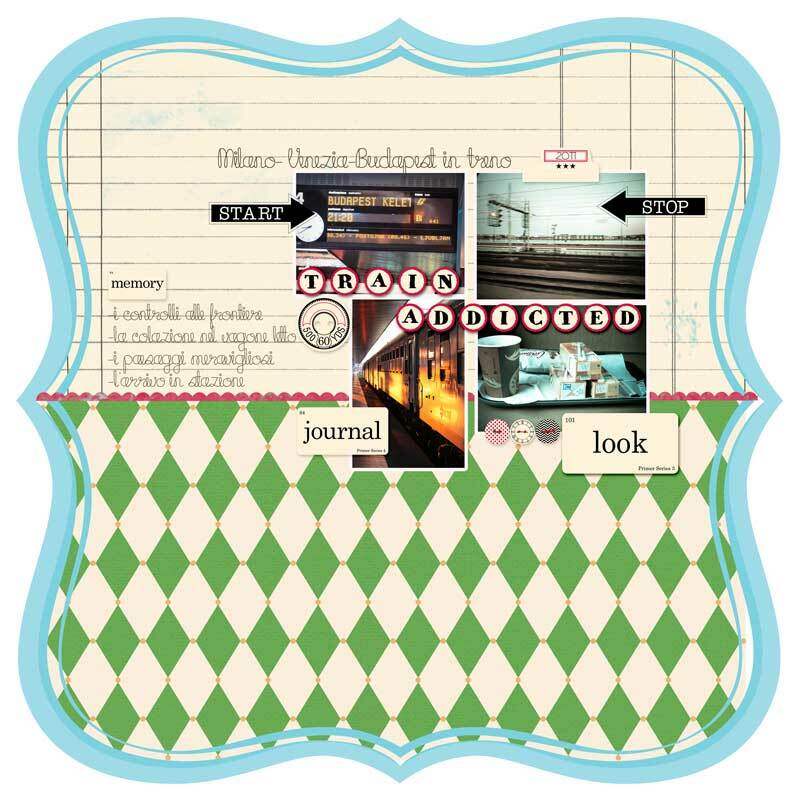 When paired with these brightly colored prints this pages has a real "vintage fresh" feel to it. 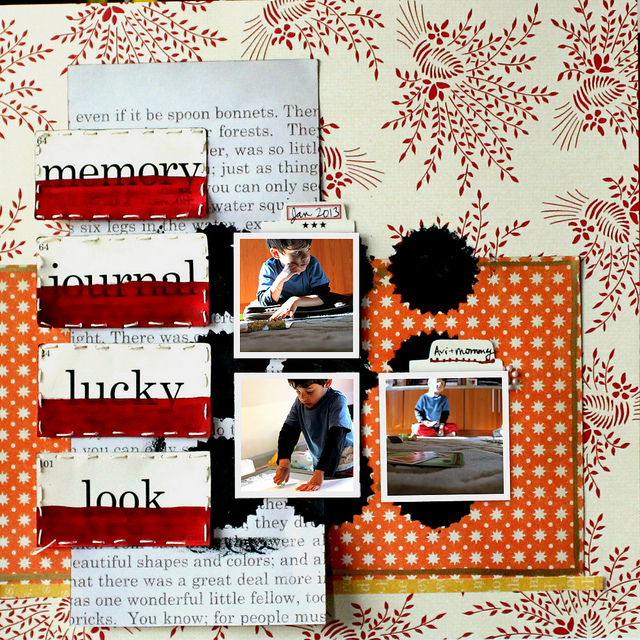 Nirupama Kumar has used the flashcards from this pack in a series down the left side of her hybrid layout and punched them up by adding a stroke of red paint (using the JBS paint dabber in Chili Powder) and some hand-stitching. Don't you love the bold effect it has on this page!? Chiara Castelluccia has scattered smaller versions of the flashcards throughout her freshly colored page and topped it off with the use of the Souvenier bead alpha for her title. And here's one from me as well. As you can see these embellishments pair perfectly with the recently released Red and Black Extension IV and I definitely see this bead alpha becoming a new fave of mine, that I'll be reaching for layout after layout.